13 Above: Top 10 Tips - How To Buy A Used Car ? 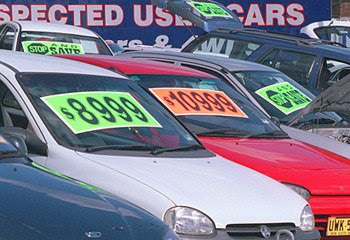 Buying a used car can be a minefield. But 13above.com can help you through it. There are a few simple things to remember and steps to take, that will make the experience easier, and assist you in avoiding being ripped-off. Work out how much you can afford to spend, and don’t forget to include registration, insurance and regular maintenance and running costs. Both for insurance, and if you’re going to get a loan, shop around to get the best rate. It's important to have a thorough look at what’s out there before buying a used car. To get an idea of a model’s current market price, spend some time searching our used car ads online or in your local newspaper. Also check out our price guide to help you avoid paying too much. 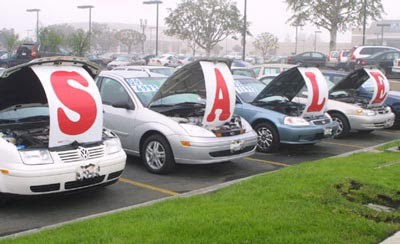 Be wary if you find a used car where the price is much lower than the market suggests it should be. If you’re determined to take it further, have the car checked thoroughly. If something seems too good to be true, it probably is. Check the latest car news to see if a new model is coming -- which can reduce the price of previous models when it arrives. If the seller is a private party rather than a dealer, always go to their home address. Don’t arrange to meet them somewhere. Check that the home address is the same as the one on the registration certificate. 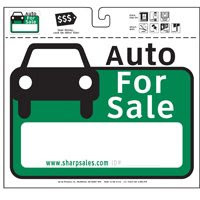 Take a printout or copy of the seller’s advertisement with you to check that details like the odometer numbers are accurate. No matter how genuine the seller seems, you should check the history of the car to make sure it’s not stolen, encumbered by an outstanding loan, or even a previous write-off. Get the car’s VIN number and check against the databases in the state in which it’s registered. For a small fee (free in some states), this simple step could save you a lot of money and problems. Make sure you have a thorough look over the car yourself, and best of all, have an independent mechanic or automotive centre check it out properly on a hoist. It could save you thousands by revealing mechanical problems and previous damage. - start the car with a cold engine, which will make is easier to reveal problems like poor starting or too much smoke. The price is the price, but there’s often leeway for bargaining. - Make a list of any faults you found with the car, or any work that might need doing, and calculate how much this could add to the price. - From this position, negotiate the price with the seller. - Ask the seller what their best price is, make a lower offer and then say nothing. They can only either turn you down, accept your offer or name another price closer to yours.